Do your spine, head, and shoulders feel unsupported when you sleep? Do you ever wake up with a sore back? If so, you might be using a mattress that is too soft for you. A firm mattress can help with these issues, aligning your body and giving you a restful night of sleep. According to studies on the topic, sagging sleep surfaces are bad for your spine. Improper spinal alignment can lead to a stiff back, fatigue, and headaches. It may even cause issues that you’d never guess are related, such as numbness or muscle spasms. A firm mattress allows your bones to support the weight of your body, freeing up your muscles and relaxing your veins. This improves your circulation and keeps your airways open for smoother breathing. We have scoured the internet for the best firm mattresses, so you can make this important switch and start waking up refreshed. With its 120-day trial period and high-quality materials, it’s easy to see why the Aurora mattress is so popular. If you tend to wake up sweating and also need extra back support, this cooling and firm mattress will be right up your alley. Compressed into a 19x19x45-inch box, the Brooklyn Aurora Luxury Mattress is shipped straight to your front door. 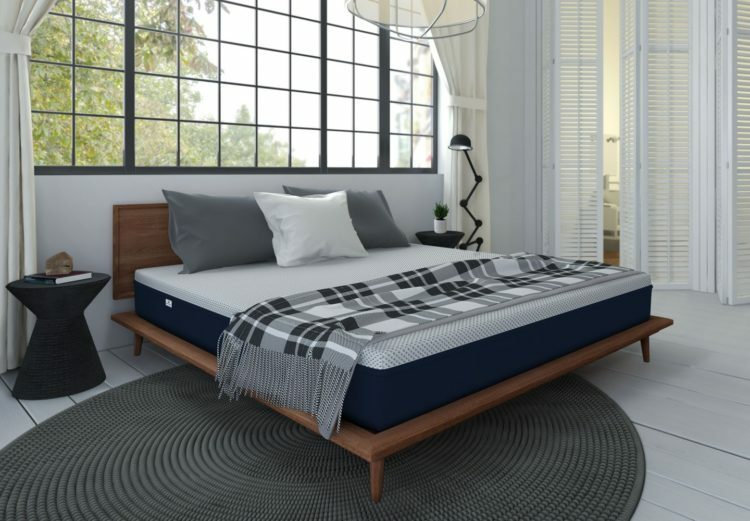 You’re craving pressure relief: The Aurora mattress has a 4.5-inch top layer made up of medium-firm and medium TitanFlex foam, plus memory foam. The top layer allows your body to sink slightly, so the foam contours around your back and shoulders. The second layer is in place to provide firmness and support. You need more airflow: This mattress is designed with the purpose of keeping you cool. The circular knit cover keeps the material from storing heat. There’s a mix of coils and foam to help with airflow. And the 1.5-inch top layer is also engineered to prevent sweating. You aren’t on a strict budget: Aurora is made with incredible craftsmanship and top-notch materials, so it isn’t the cheapest mattress out there. It could be a good choice for you if you don’t mind spending a lot on your mattress. You’re a back or stomach sleeper: This could be a good choice if you enjoy a flat, smooth-feeling sleeping surface and also tend to sleep on your back or stomach. The TitanFlex foam in the Aurora is responsive and doesn’t allow you to sink too deeply into the bed. You prefer latex materials to soft foam: TitanFlex foam is an alternative to latex. This gives the sensation of sleeping on top of the bed instead of “in” it. There’s also a layer of springs inside for isolating motion. The Aurora Luxury Mattress is our top choice for hot sleepers because it was made with airflow in mind. The foam used in its construction is Certi-Pur US certified. Let’s look a little further into the materials used in this product. The cover of the Aurora mattress is made with a two-way circular knit material, which makes it feel cool on the skin. The top layer has TitaniumGel for cooling and copper, making it antimicrobial. The second layer is 2-inches thick for medium-firm comfort, supporting your back and hips. Next, there’s a 1-inch layer of 2.5-pound density memory foam, providing compression support. This is an important feature for people who sleep heavily. The mattress is designed to prevent sleep disturbance with its 1,283 Quantum Edge coils. These isolate motion, meaning you won’t wake your partner up if you get up in the night. While you will sink into the mattress surface slightly, the firm second layer keeps you from sinking too deeply into it. This mattress is built to last with durable fabrics, safety stitching, and Kevlar thread. Brooklyn Bedding uses water-based, non-toxic adhesives that don’t harm the environment. And, they make their own zipper covers instead of importing materials. Mattresses from Brooklyn Bedding include a 10-year warranty. They have a 120-day sleep trial period, but you must try out your new mattress for a minimum of 30 days. Again, the Aurora mattress isn’t the cheapest, but its breathability, minimal motion, and firmness are hard to beat. It’s made right here in the USA and doesn’t have much of a scent when you unpack it. All of these reasons, plus the quality layers of foam, make this a good choice for hot sleepers seeking a firm mattress. The AS1 is the firmest option available from Amerisleep. Memory foam is usually associated with feeling hot. But the AS1 uses a structure that keeps the airflow going, so you won’t wake up sweaty. And the Bio Core foam used in the foundation won’t sag, even years down the road. You need help staying asleep at night: The AS1 mattress uses a product called Celliant® in their mattress covers. This converts your natural body heat into energy for temperature control. Studies show that this material improves the quality of rest you get while you sleep. You want breathable foam in your mattress: This mattress uses Bio-Pur foam, which is very breathable compared with ordinary memory foam. Due to its special design, it soaks up your body heat and keeps you cool. You suffer from lower back pain: This mattress is very firm and won’t allow your hips to sink far into it. Because it keeps your hips aligned this way, you won’t wake up with a sore lower back. Stomach sleepers will also appreciate this mattress because it keeps your spine comfortably aligned in this position. You move around in your sleep: The AS1 uses memory foam which responds slowly to pressure. But, because there are only 2 inches of this foam, you can easily shift positions without getting stuck or sinking in. The AS1 mattress by Amerisleep uses a thinner layer of memory foam, which gives you pressure relief and contours around your body. The firmness of this mattress comes from the 8-inch base, which is made of dense poly-foam. Although there is the top soft layer in place, you will comfortably sink right through it to the firm layer. This offers a supportive sensation for your body and acts as the mattress foundation. If you sleep with a partner who is changing positions, you will feel very little motion from this. Due to the memory foam used, the disturbance is muffled. Although you may feel it slightly when your partner gets into or out of bed, it won’t cause as much rebound as a bouncier mattress. Other Amerisleep mattresses are better at absorbing motion, but they also aren’t as firm. Both layers of foam use plant-based materials, which is more environmentally friendly than petroleum. This process is designed to cause less harm to the planet and more than meets the guidelines of the US Clean Air Act. Amerisleep offers a 20-year warranty with this mattress. They also give you 100 nights to test it out and will give you a complete refund if you aren’t pleased. They will even pick the mattress up for you if you decide to return it. Reviews suggest that this mattress will remain firm, even after years of use. Many reviewers have been impressed with the cooling sensation on this mattress. And it offers a quicker bounce response time than softer mattresses. If you’re seeking an eco-friendly choice and better back support, this could be the best choice. The Elite Mattress comes bent in half and rolled, but returns to its original shape very quickly. Some mattresses have a strong chemical smell that sticks around after you un-package them, but this one is an exception to that. Let’s look at some reasons you may wish to choose this mattress. You enjoy a luxurious sleeping experience: This double/full mattress cushions your body with multiple layers of materials. The top cushion is a premium airflow layer on another layer of Visco with gel infusion. These sit atop a support base with a high density. You prefer a bed without coils: Whether or not you like coils is a matter of personal preference. But, those who prefer not to sleep on them will appreciate that the Memory Foam Mattress Elite is made coil-free. You are a heavier person: People who don’t weigh much will probably notice that this mattress feels quite firm. Heavier people, on the other hand, may find it very balanced between firmness and softness. 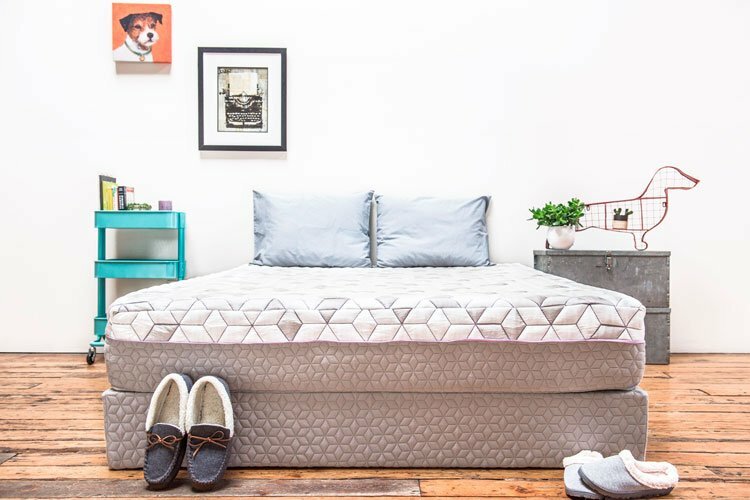 You don’t want to feel any motion transfer: Users have reported that sleeping on this mattress causes them to toss and turn less. They were also less disturbed by their partner’s movement. The memory foam absorbs these movements, leading to a more peaceful sleep than you’d get with your old mattress. The Memory Foam Mattress Elite is made from plush, breathable materials instead of cheap foam. It both relaxes and cools the body, so you can wake up feeling refreshed. And, since sleeping cool is healthier for you, this is a huge plus. The core of the mattress helps to relieve pressure points and get rid of tossing and turning. People with sore hips or back pain may find that this brings them relief. And the Memory Foam Mattress Elite comes with a full refund guarantee. Let’s look at how this product is constructed. The mattress is 10-inches thick in total with a 2.5-inch comfort layer made from memory foam. Next is a 0.5-inch layer of cool memory foam, infused with gel to cool your body and help with pressure relief. Then, there’s a 7-inch high-density core base for stability and support. The luxurious cover is soft to the touch for your comfort. And the mattress can be used with any futon, box spring, or bed frame. The HD core base gives the mattress its firm feel, but the top layers of memory foam also give a very slight sinking feeling. The three layers also help reduce motion transfer, so you won’t feel your partner moving at night. Live and Sleep use an eco-friendly manufacturing process which reduces the number of volatile chemicals being released into the air. They are CertiPUR-US certified, meaning that the materials they use are safe and free from lead or mercury. 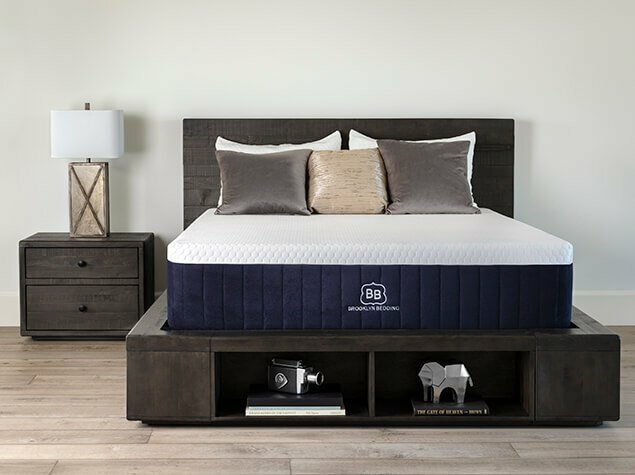 The Live and Sleep mattress has a 20-year limited warranty and they will replace or repair products that have issues, as long as it meets their criteria. The Elite Mattress comes with a 75-day Comfort Guarantee. This means that after trying the mattress for 50 days, you can return it for a full refund if you aren’t satisfied. They will even pick it up for you if you choose to return it. It only requires a short period to breathe with an open window nearby and it’s ready to sleep on! Plus, when you order the Memory Foam Elite, you will get a free non-toxic, eco-friendly Visco-elastic pillow. Overall, this mattress should be a great choice, especially for those who sleep on their stomach or back. The Layla Mattress uses a smart, unique concept for their mattress. One side is soft and allows you to sink into it, while the other is firmer. It contours to your body isolates motion well and uses eco-friendly materials. The mattress is designed to provide pressure relief to users. It also comes with a 120-day trial period. You aren’t sure how firm you want your mattress to be: If you’ve never tried a firm mattress, you might not know if you’ll like it. The Layla mattress allows you to test out two options and flip between them. You tend to sleep hot: The Layla has been designed to cool your body as you sleep. The cover is gel infused and the memory foam is copper infused, to regulate temperature. 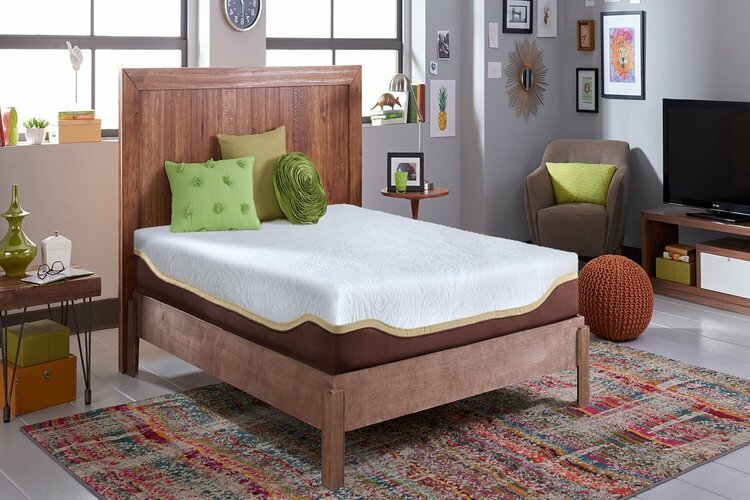 You like the classic memory foam feeling: Both sides of the Layla mattress have pressure-relieving foam. It contours to your body and allows you to sink in a bit. Regardless of which side of the mattress you use, the firm center layer will support your body. You want an eco-friendly mattress: The foams in the Layla Mattress are made without formaldehyde or phthalates. The company also uses water-based adhesives, which are less toxic. The soft side of the Layla Mattress has a 3-inch layer of memory foam, infused with copper. This responds slowly to pressure and contours to your body. Below this is a 2-inch poly foam transition layer that adds support. It also regulates temperature due to its egg crate design. The supportive center responds quickly to pressure and helps the mattress keep its shape. On the firm side of this mattress, there’s a 1-inch memory foam layer which keeps you from sinking in, but still contours. It has no transition layer, so contouring is minimal, although it will still feel plenty comfortable. Both the firm and soft side of the Layla Mattress do a good job isolating motion. The materials of this mattress are created without heavy metals, which can be harmful, and can damage the ozone layer. Layla Sleep Inc. has a warranty that lasts the entire life of the mattress. They give you 120 days to try your mattress and will give you a full refund if you aren’t satisfied. If you are on the fence about a firm mattress and care about keeping cool at night, the Layla could be your best bet. Side sleepers will find that the construction of the Layla reduces any shoulder or hip pain, leading to restful sleep. 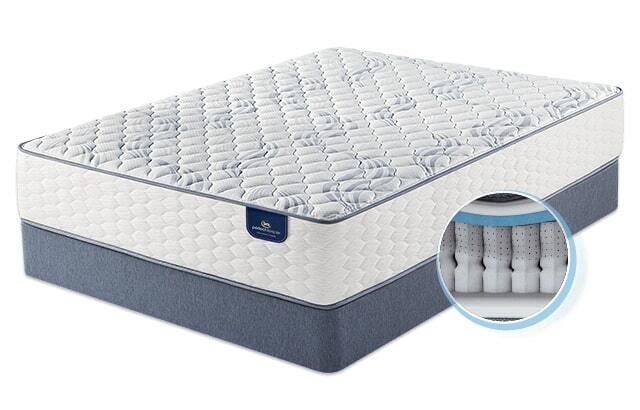 The Perfect Sleeper by Serta is a good middle ground for those who want a firm mattress that is still plush. Although it is in the middle of the road on Serta’s firmness scale, it’s still more firm than soft. It’s also made without harmful materials. You have a hard time staying asleep: The medium firmness of this mattress makes it easier to fall asleep and stay asleep. If you struggle with tossing and turning at night, this could be a good fix. You sleep too hot or too cold: The Gel Foam used in the Perfect Sleeper helps regulate your body temperature. If you tend to sleep hot or cold, this should bring you to balance. You sleep on your back: The Coralview Firm isn’t the firmest offered by Serta. This is great for those who sleep on their back but may not be ideal for stomach sleepers. You want to stop disturbing your partner at night: Some people get up a lot at night, which disturbs their partner. If this is you, this mattress could help that issue as it absorbs motion well. Serta uses a blend of natural and synthetic latex for this mattress. It has firm edges which make getting into and out of bed easier. This also reduces the risk of falling out of bed at night. It doesn’t come with a pillow top, which could be a positive or negative depending on what you prefer. Users have reported that it helps a lot with back pain. This mattress is about 11.6-inches in height. It has Serta Support foam inside, an inch of Balanced Support foam, 0.5-inches of cooling Gel foam, and a supportive encasement. Again, it’s more firm than soft, but it still has a nice cushioned feeling to it. The coil innersprings used are individually wrapped for proper back support and for lower back pain reduction. Although there is slight motion transfer felt with this mattress, overall users reported little disturbance. The quilt is made with fire-blocking fibers for your safety and the mattress has 739 coils, altogether. Serta uses a latex blend with synthetic and natural materials. It’s both allergen-resistant and anti-microbial. All of the included foams are made without mercury, lead, or CFCs. The Coralview Perfect Sleeper comes with a 10-year, non-prorated warranty. Serta asks that you spend 30 days adjusting to your mattress before seeking to return it. If you do need to return it, you can do so as long as it’s no more than 45 days after delivery. 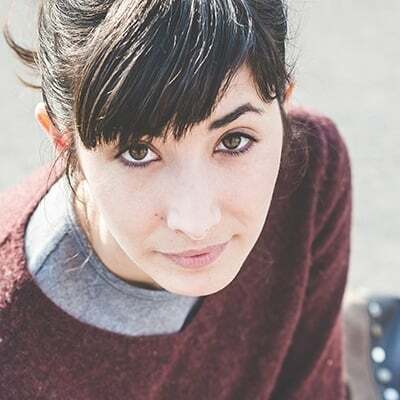 You will have to pay a 15 percent fee and $200 for shipping costs. Overall, the Perfect Sleeper is good for couples and those who like a medium-firm feel to their mattress. If you’re seeking body conformity and support in your sleeping experience, this could be a good choice for you.